ClimateWire - Friends of the Earth launches “Bumble Bee Count” app for the 3rd Annual Great Canadian Bumble Bee Count! Friends of the Earth launches “Bumble Bee Count” app for the 3rd Annual Great Canadian Bumble Bee Count! The Yellow-banded Bumble Bee, by Brenda VanRyswyk. July 30, 2018 (Ottawa, Ontario) The 3rd annual “Great Canadian Bumble Bee Count” launches August 1st with a “Bumble Bee Count app” to facilitate photographing, identifying and locating bumble bees right across the country. For those using a camera, Friends of the Earth’s Census Cards are available. More than two-thirds of the food crops we depend on benefit from pollination by native bees, honey bees and other pollinators. Bumble bees are especially important - they are capable of buzz pollination making them particularly effective pollinators for certain crops and flowers - including blueberries and tomatoes. 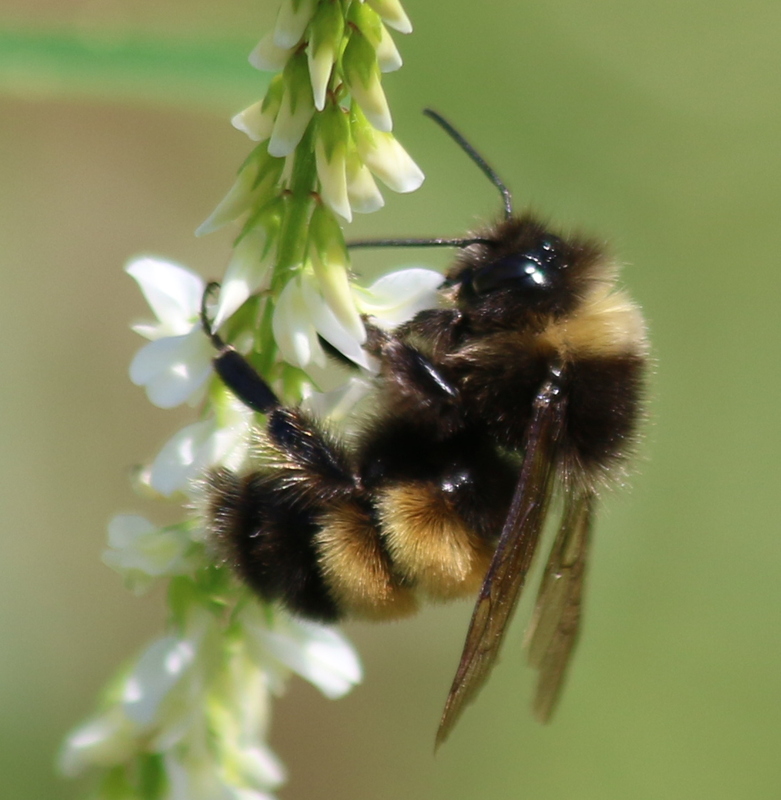 Photos and observations from the Great Canadian Bumble Bee Count help signal changes in how bumble bees are dealing with these issues. The Rusty-patched Bumble Bee, once abundant in southern Ontario, is now almost extinct and officially designated as endangered. On advice from scientists, the federal government has designated four more native bees for protection under the Species at Risk Act. Once abundant across Canada, the Yellow-banded Bumble Bee is considered at risk. It has declined in southern Canada by at least 34%. Scientists report pesticide use, habitat loss, climate change and pathogen spillover from managed bumble bees all contribute to this decline. There are over 800 confirmed species of wild native bees in Canada with little proper monitoring. Note to Editors: submitted photographs, location and name of the photographer will be available to the media.